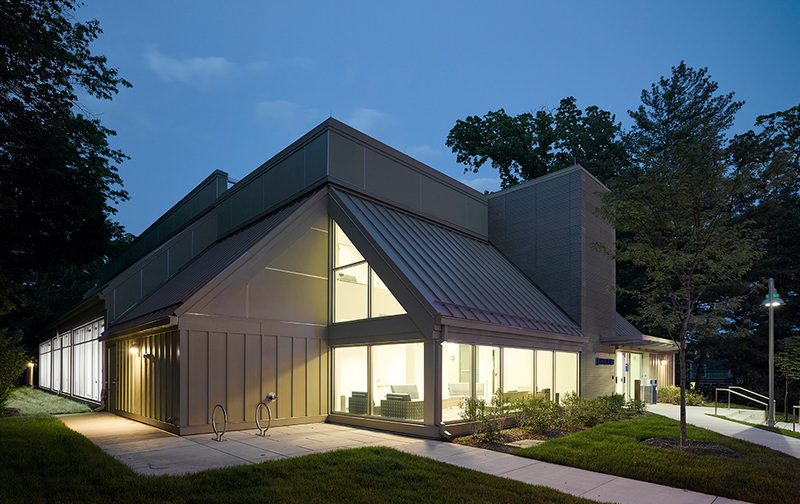 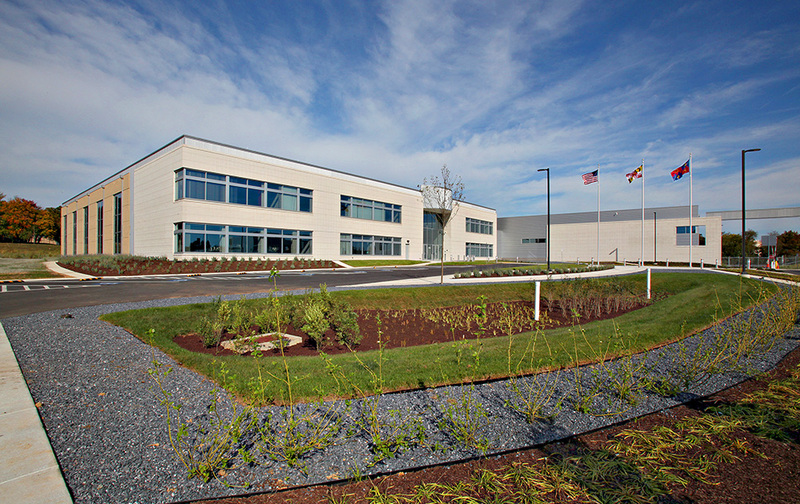 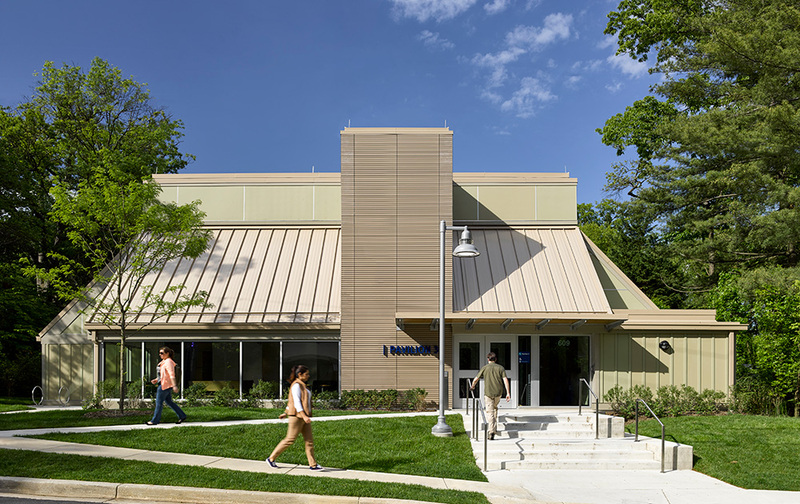 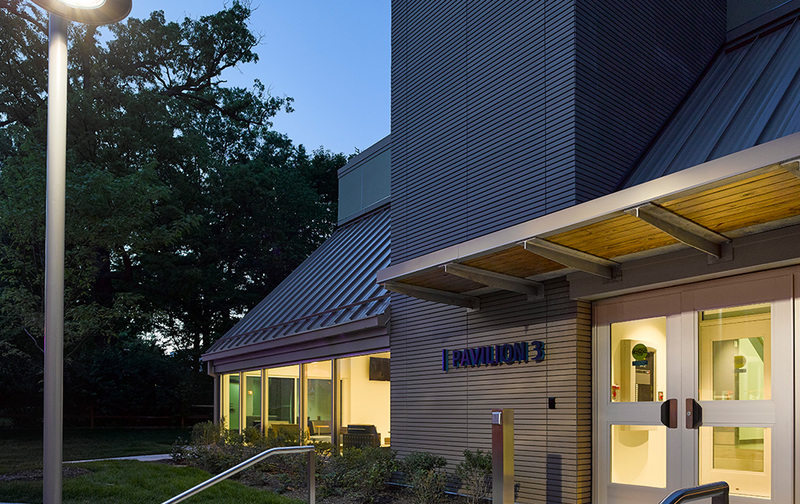 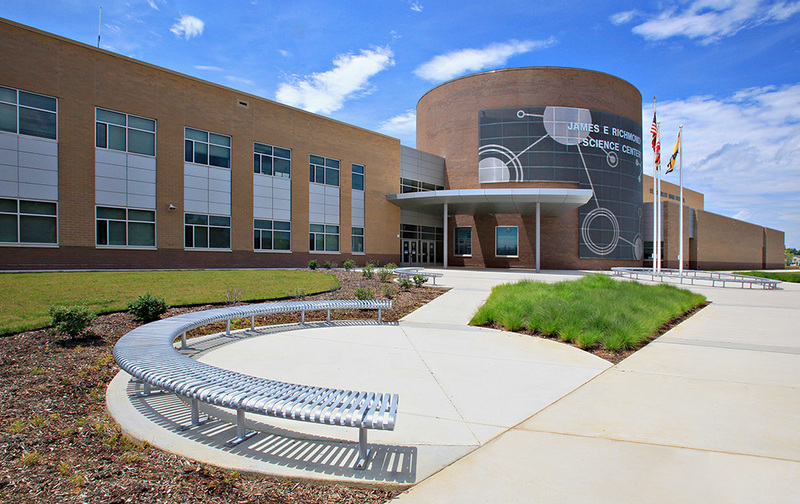 The demolition and renovation of the two-story structural steel building included extensive exterior and interior upgrades. 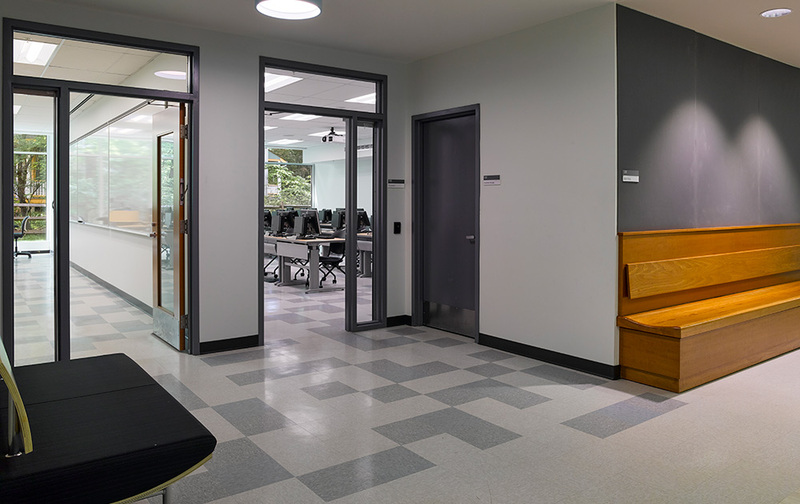 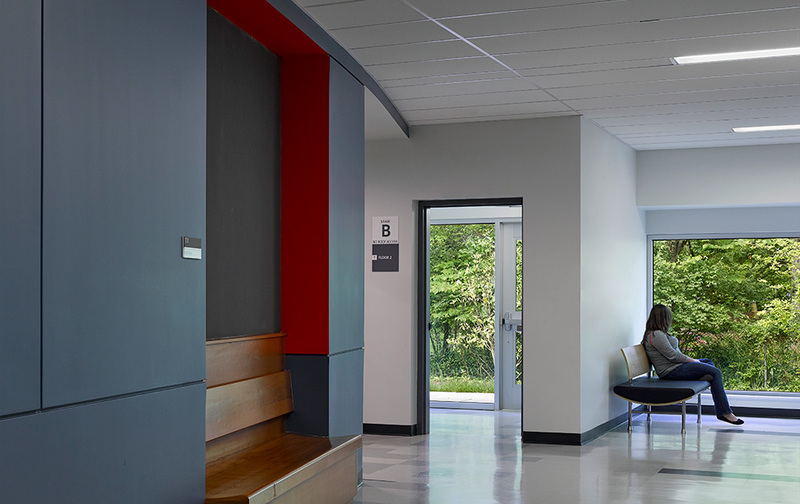 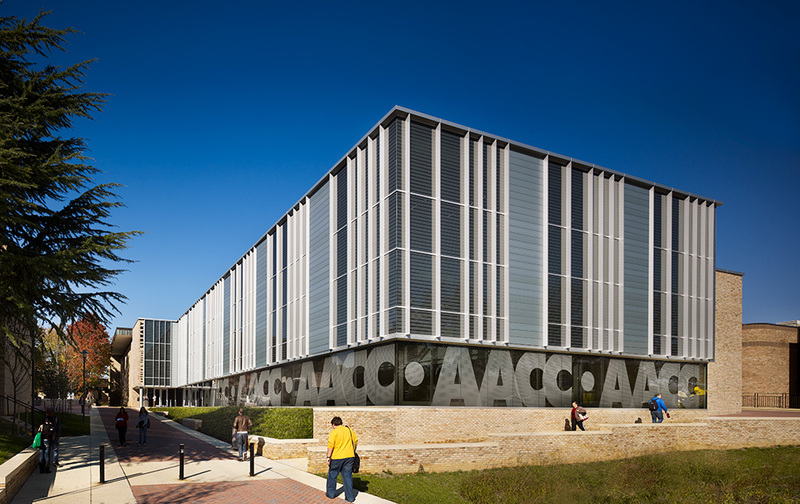 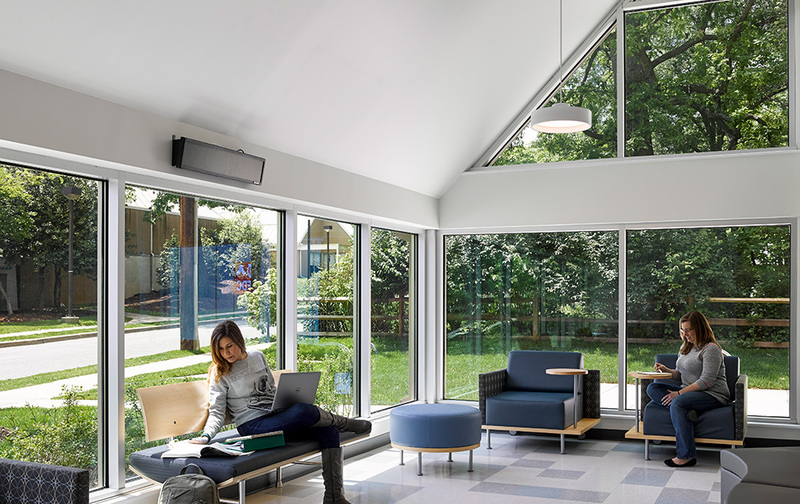 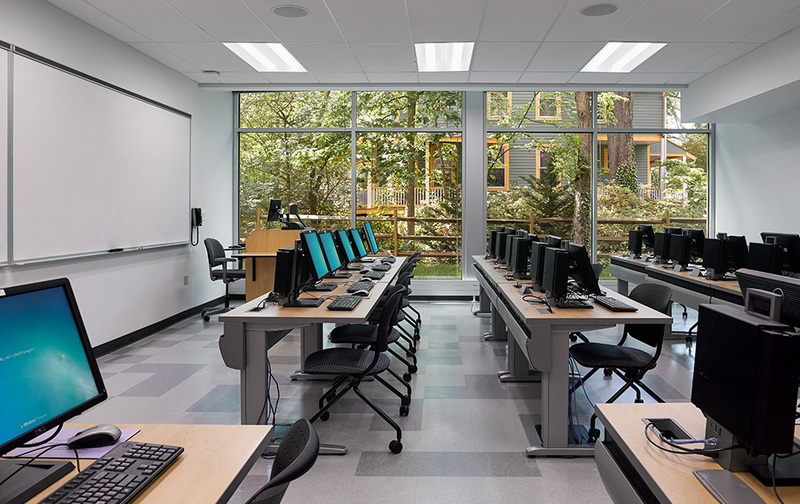 The 22,000-SF facility is tracking LEED Silver certification and provides classroom and office space for campus use. 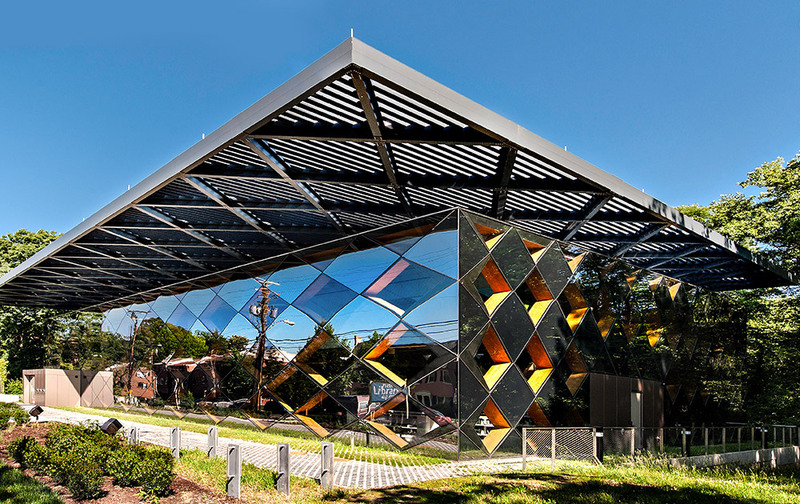 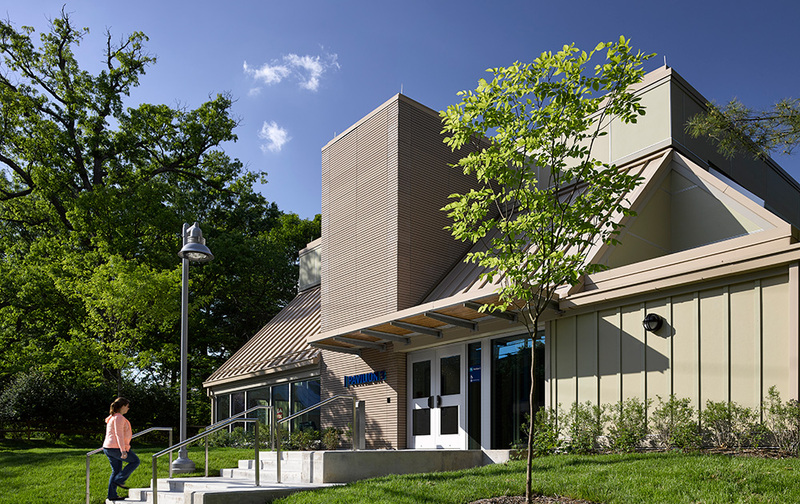 The terra cotta paneling, open-concept skylight ceilings, sloped roofs and terrazzo flooring are all features that adorn the pavilion nestled in the middle of the historic, colonial homes of Takoma Park.